The Committee Room measures 4m x 4.5m is self contained with its own entrance, and is ideal for private confidential meetings. 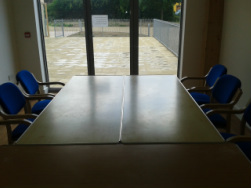 The Committee Room can also be hired as in conjunction with the main hall and used as an anti-room to the hall. 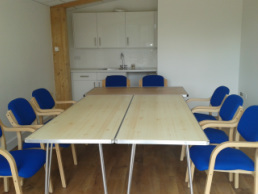 ﻿The Committee can also be used for small Lunch or Dinner Parties price on application.